يشكل فندق Huonville Guesthouse بموقعه الممتاز في قلب هونفيل نقطة انطلاق ممتازة لاستكشاف هون فالى. يقع مركز المدينة على بعد 40 km فقط. ويمكن الوصول إلى المطار خلال 45 دقيقة. يوفر الفندق بفضل موقعة الجيد وصولاً سهلاً إلى أهم معالم المدينة.
. إن الخدمات التي يقدمها Huonville Guesthouse تضمن للنزلاء إقامة مريحة. يمكن لضيوف الفندق الاستمتاع بالميزات التالية على أرض الفندق: واي فاي مجاني في جميع الغرف, Wi-Fi في المناطق العامة, ركن للسيارات, جولات, خدمة غسيل الملابس . بالإضافة لهذا,تتضمن كل غرف الضيوف مجموعة واسعة من وسائل الراحة . بعض الغرف توفر حتى تلفزيون بشاشة مسطحة, اتصال لاسلكي بشبكة الإنترنت (مجاني), غرف لغير المدخنين, مكيف هواء, تدفئة لإرضاء أكثر الضيوف تطلباً. إن حديقة هو المكان الأمثل في الفندق للاسترخاء وتفريغ طاقتك بعد نهار طويل. إن Huonville Guesthouse هو خيارك لخدمة الفنادق الراقية في هون فالى. We had a lovely stay at Huonville Guesthouse. Everything was perfect! The room was spacious and spotless, with a beautiful big bay window seat and stunning fireplace, and a kitchenette with breakfast supplies. To cap it off, we picked ripe peaches from the tree outside our room. Just lovely! Beautiful room, feels luxurious, nice touches everywhere. Sink and microwave and fridge available. 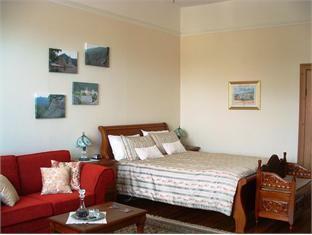 This guesthouse is very well set up with good airconditioning, excellent period furniture and comfortable bed. It is quiet, has a very attractive garden and is not far from the shopping centre. We had planned to stay only one night, but extended to two. The area is quiet, room is extremely clean and well-furnished. Bedding was very comfortable, will stay again or recommend to others! 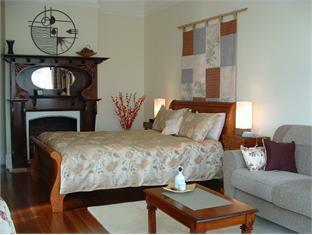 We loved our stay at Huonville Guesthouse. Considering the great price on a very busy weekend, we were extremely impressed with the set up. We chose the Sakura 'Cherry Blossom' suite. Close to town and with friendly hosts, we'd very much recommend staying here. 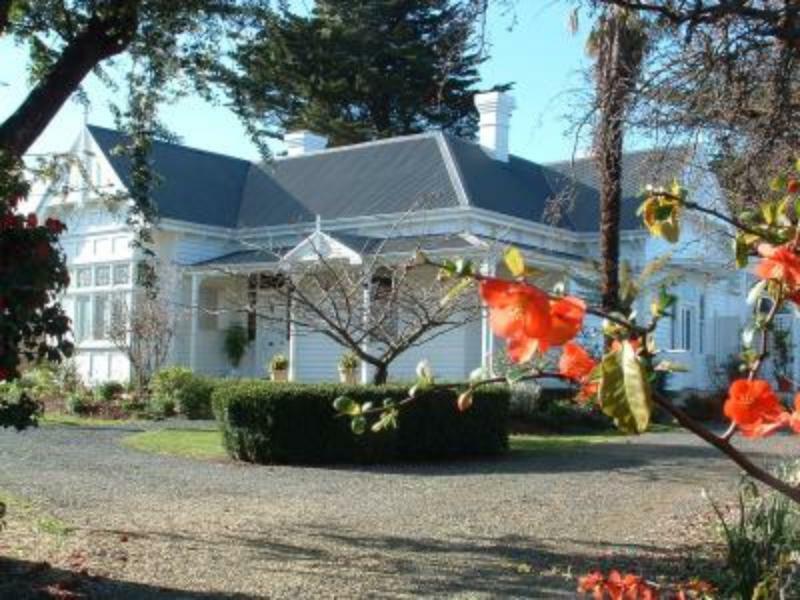 We enjoyed our stay at this comfortable guesthouse which was tastefully appointed with quality furnishings and nice little touches, set amongst nice gardens and Huon valley surrounds. Good location and value for money. Very grateful to our welcoming and helpful hosts. Nadia, Daniel and Fuji will ensure you have a great stay. home baking, friendly owners and lovely gardens. Felt welcome and at home. We enjoyed our 2 days there and would stay there again if we were in the vicinity. 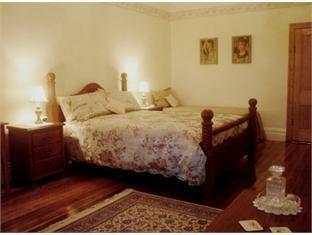 The room was tastefully decorated, the bed was comfortable and the bathroom was modern and clean. Excellent. The only minor criticism was that ticking of the large decorative wall clock was noticable during the night. First class, lovely people, excellent facilties ,very highly recommended. Very pleasant room with polished original timber floorings, renovated and cleanly kept bathroom - we love the contemporary touches to this historical house, esp. the lovely organic gardens just at our door steps! And many thanks to thefriendly owners whose kindness and smiles impressed us so much. Certainly come back and recommend to our friends. We booked 2 rooms but accidentally clicked on a wrong room, but no worries,it was all managed by one of the very kind owners Daniel. When we arrived on NYE, we are all impressed by the beautifully renovated rooms, the Country-Style-Magazine-deserved organic gardens and of course, a very lovely and elegant lady, the other owner, Nadia. My 6yo daughter kept saying "The lady is so nice and kind" and I can't agree more. Having a notorious allergic nose to dustmite and carpet smell, I felt especially thankful to the owners who decided to kept the beautiful Tasmanian oak timber flooring(if I didn't make it wrong), it was such a comfort walking on the warm and natural floor which soothes all trip-tired feet. The other reason one should choose to stay in this lovely Huon Valley premises is their organic gardens. All rooms have an indivudual external entry via the gardens, the geraniums beside the patio table/chairs by the doorway always invite you for tea in the afternoon when you come back or a delightful alfresco breakfast in the fresh morning Huon air, scented by the garden flowers around. It's a great location to approach either forest in Huon Valley or the coastal part of this area. clean room. owners are friendly and have attention to details.